Which means that they can have a different stripe selected. 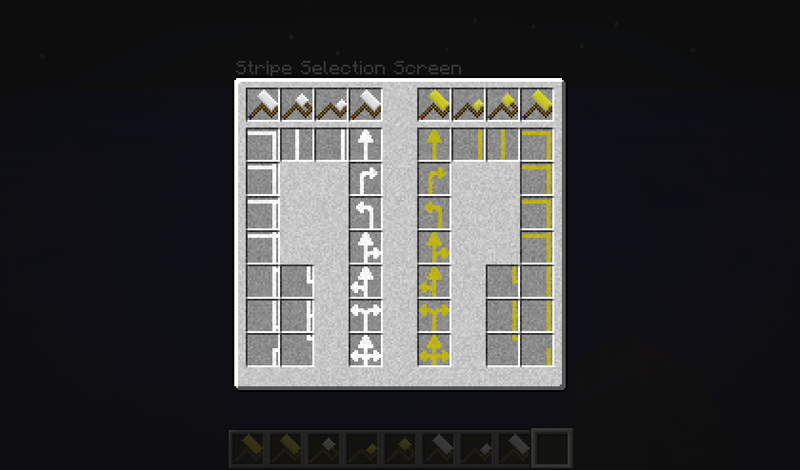 The quick stripe selection menu will only work on the item you have selected. Other items will be unaffected. 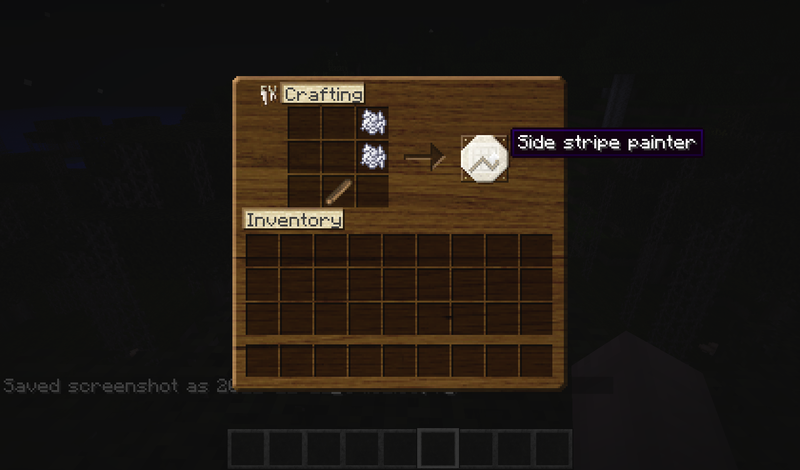 The stripe shown on top is the one of the item it finds first in your inventory. it'll start searching your other inventory slots from top left to bottom right. The quick paint planner menu will now only open when you have a quick painter in your hand. 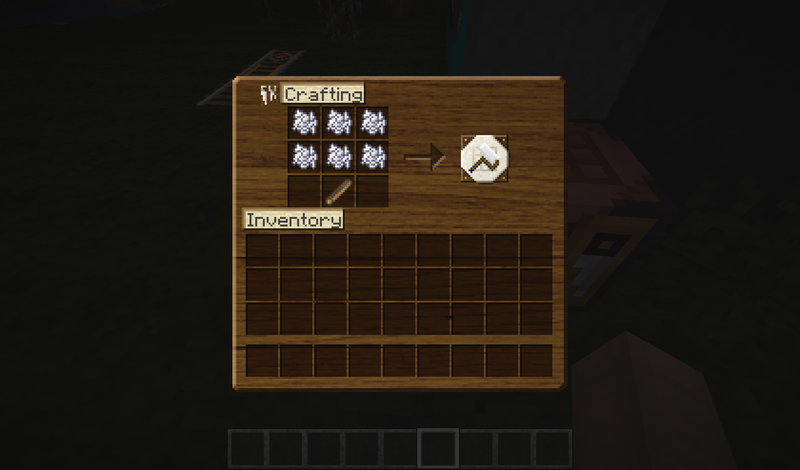 Risugami’s ModLoader 1.2.5 when using forge 3.3.6 or lower. 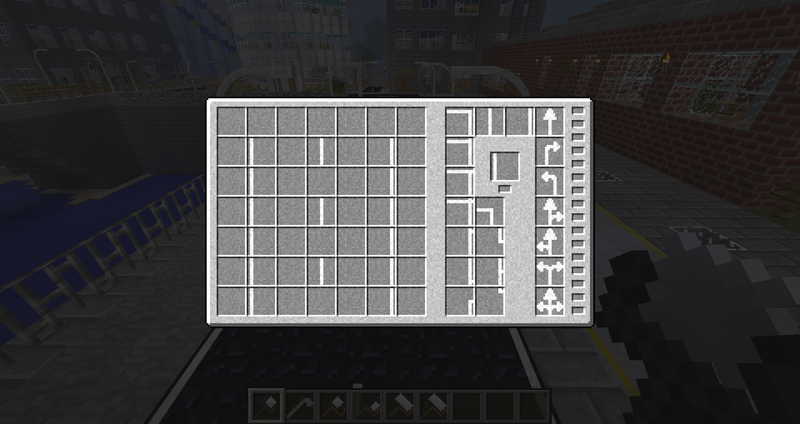 SpaceToad’s MCForge Server 1.2.5 or later only when using a 1.2.5 version of minecraft. By following this link you agree to the Terms and Conditions. These versions are not supported anymore, the links might be down. By following any of these links you agree to the Terms and Conditions. 1: The middle stripe paint roller. 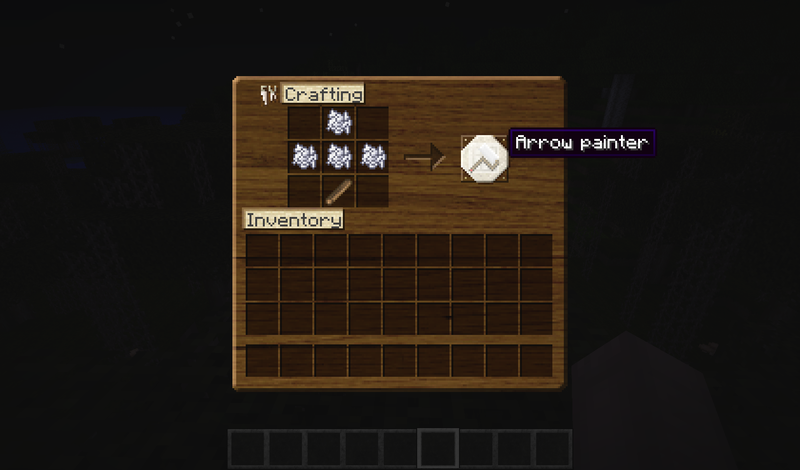 3: The arrow paint roller, now this one has 7 different types of arrows, to switch you have to press the [X](default) button when holding the roller and the color of the paint roller will change, you can see directly what kind of arrow it is, in the upper left corner. 4: Extra stripes paint roller, to finish all little parts that are not connected yet, to switch you have to press the [X] (default) when holding the roller and the color of the paint roller will change, you can see directly what kind of extra stripe it is, in the upper left corner. All paintrollers are also available in yellow now! There are also some options you can click. Selected stripe text: (default)On = Show what stripe is currently selected on the roller in the top left corner while holding the roller. Click and get: (default)On = When clicking a stripe in the stripe selection menu, does the menu close down by itself? It’s rather easy to use. It will show all possible stripes you can currently draw, if you don’t have a painter, its corresponding stripes won’t be visible. Click one of the stripes to Immediiately put that roller in your hand with the stripe selected that you clicked on change the corresponding roller’s stripe index! Use [. ](default) to open it! The Quick Paint Planner is easy to use. To use it, click the stripe you want and click the space you want the stripe to be, to twist and turn the stripes, simply click the selected stripe in the middle of the selection menu on the right (see pictures). 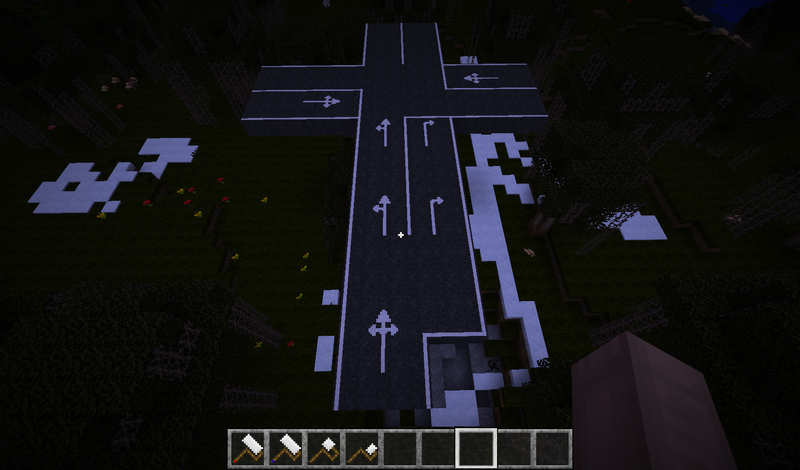 The middle square in the lower row will be the place where you click on the ground. When exiting the menu, it will save the pattern to the painter you are holding. Feel free to make videos and mod spotlights! 1) Install the latest forge for your version. 2) Put the .rar file in the mods folder. 3) Extract the contents in the mods folder (You can delete the .rar file). 6) Drag and drop the files from my mods into the jar. 3) Drag and drop the files from my smp mods into the jar. DO NOT DELETE THE META-INF HERE! 4) Run the server, enjoy! V1.8.0 -1.8.1BETA Added the quick paint planner. V1.7.2BETA Updated for 1.5.2 with an attempt to get the menu back. V1.3 Added the yellow paint rollers, craftable with one roller and one yellow dye(shapeless). 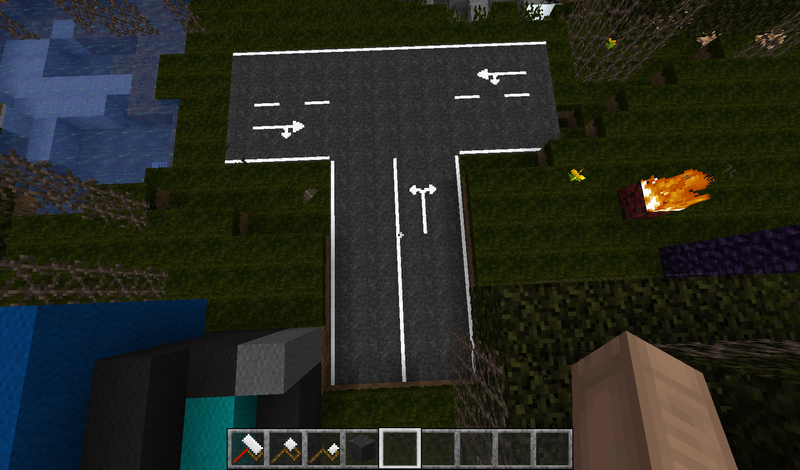 V1.2 Added a new complex roller for extra parts of stripes, to make your road complete! When holding a roller, it will now say what kind of stripe you selected in the upper left corner. 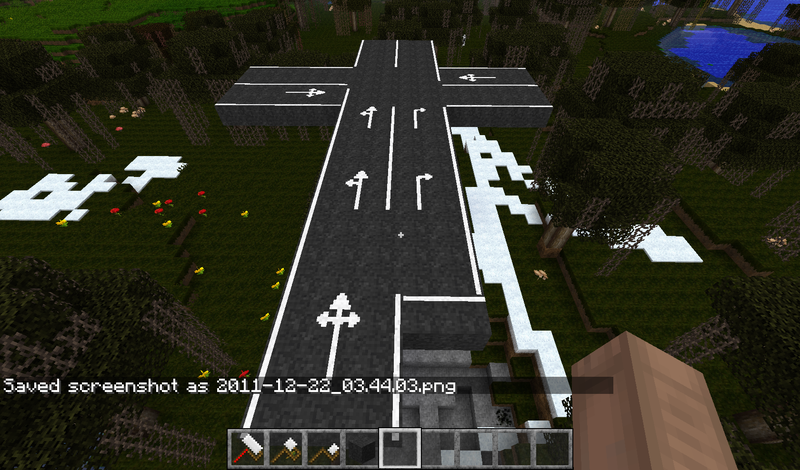 V1.01 Blocks not dissapearing when blocks beneath are destroyed bug fixed. 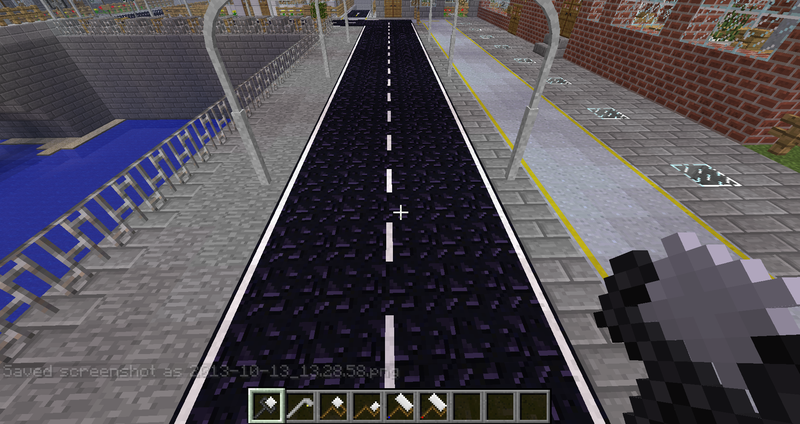 The downloaders of this mod, for making me happy you like the mod enough to download! Suggestions and feedback are welcome and appreciated!